The animal’s front paw appeared too short, the front claws too long, the canine teeth too short, and ears too tall in proportion to the skull to be a purebred wolf, experts said. 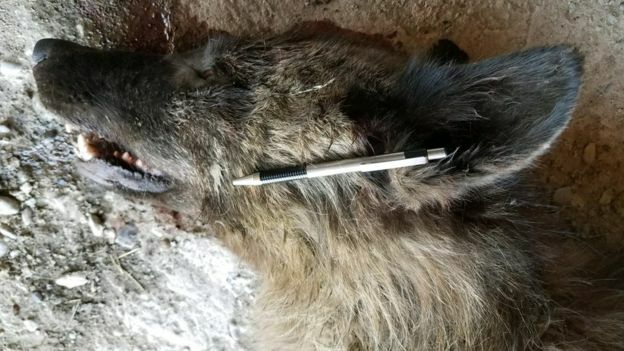 US wildlife experts are baffled by a "wolf-like" animal that was killed by a Montana farmer. 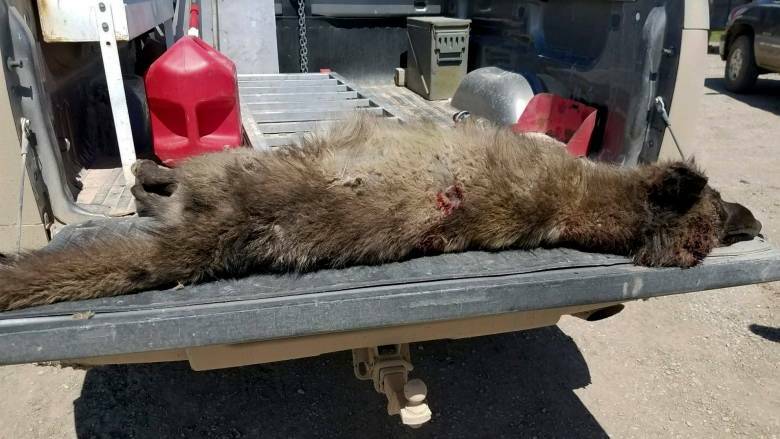 The rancher near the town of Denton shot the creature last week when it came within several hundred metres of his livestock, said officials. 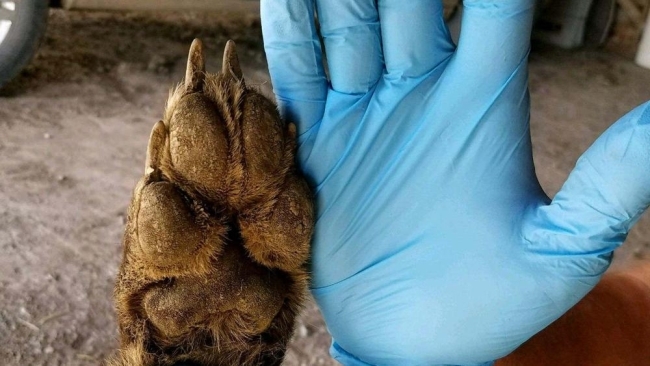 After inspecting the creature, they said they doubt it's a wolf as its teeth were too short, front paws abnormally small and claws too large. In a news release, the Montana Department of Fish, Wildlife, and Parks (FWP) said it was a "young, non-lactating female and a canid, a member of the dog family that includes dogs, foxes, coyotes and wolves". "We have no idea what this was until we get a DNA report back," a spokesman for the agency, Bruce Auchly, told the Great Falls Tribune. He added that it may be up to a week before results come in, which should help identify the cryptid. "Several things grabbed my attention when I saw the pictures," Ty Smucker, wolf management specialist for Montana FWP, told the newspaper. "The ears are too big. The legs look a little short. The feet look a little small, and the coat looks weird. 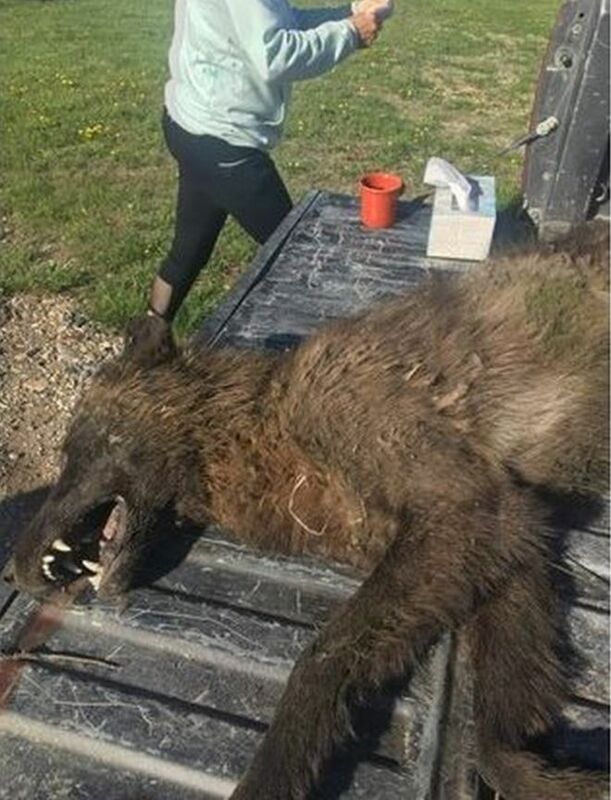 Responses to "Strange Wolf like creature discovered, shot by Montana farmer"
That does not in any way shape or form look like any wolf or hybrid wolf that I've seen anybody in their right mind can tell that is a young and very thin possibly grizzly bear and it looks like it may possibly have been sick but it is not a wolf or part of the wolf family.